The film ‘Mahanati’ has been selected in Indian Panorama films for the 49th edition of the International Film Festival of India (IFFI) 2018. This film festival will be held from November 20th to 28th in Goa. 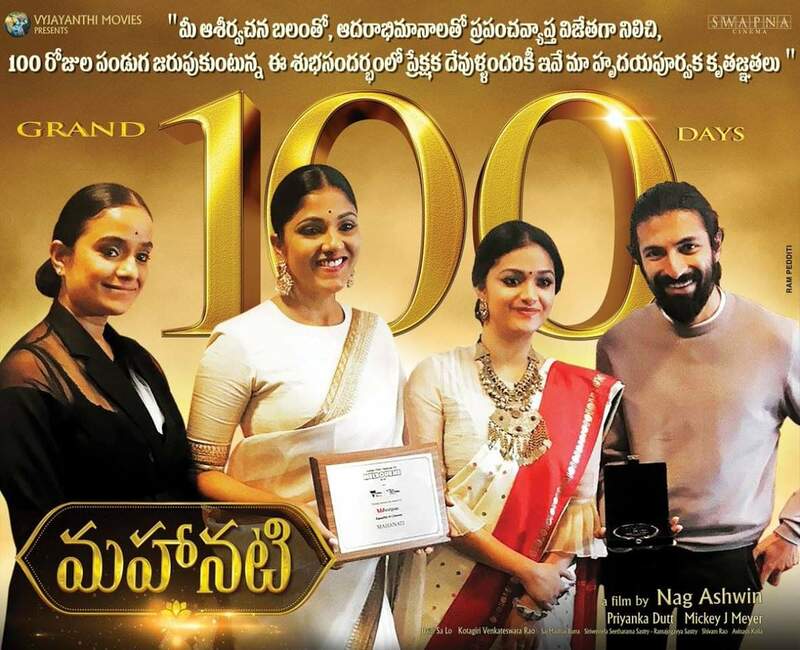 From South India ‘Mahanati’ is the only one selected as ‘mainstream films’ by an internal committee of the Directorate of Film Festivals (DFF). Based on the life of evergreen actress Savitri, ‘Mahanati’ was written and directed by Nag Ashwin. Actress Keerthy Suresh essayed the role of Savitri and her performance has won audience appreciation from all corners. The film also starred Samantha, Vijay Deverakonda and Dulquer Salmaan in the other lead roles. 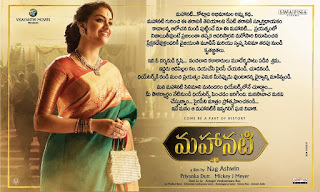 ‘Mahanati’ was produced by Swapna and Priyanka Dutt under Vyjayanthi Movies and Swapna Cinema banners. It had music of Mickey Meyer and was released on May 9th.